Accommodation rates starting from as little as $47 per person per night in Peak Season. 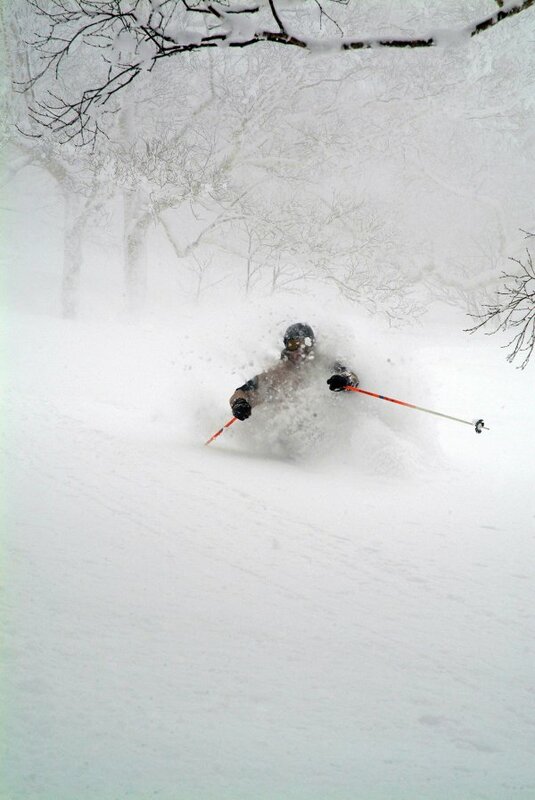 That's an amazing offer, a once-in-a-lifetime opportunity to take the family or a group of snow enthusiasts to enjoy what will be uncrowded slopes in the very popular Japanese winter playgrounds on Hokkaido, the powder capital of the skiing world. HIRAFU LODGE, a large, well appointed, five bedroom house which sleeps up to 12 guests. Prices have been discounted on all peak dates for this property including Christmas and Chinese New Year! Travel between 17 December 2011 - 2 March 2012 and SkiJapan.com will arrange a seven-night package for $929 per person. Included is seven nights accommodation (12 people sharing), a 6-day all mountain lift pass, airport transfers and the services of SkiJapan.com representative in Niseko. SULU CHALETS, five-bedroom premium townhouse-style accommodation that also sleeps up to 12 guests. Several families or a largish group will find this offer enticing. Stay in Sulu Chalets between 24 December 2011- 31 January 2012 for $1,105 per person. 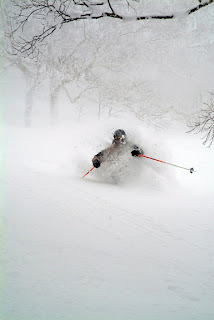 Package includes seven nights accommodation (12 people sharing), 6-day all mountain lift pass, airport transfers and the services of SkiJapan.com person in Niseko. Book a Private Lesson and your friend can join for FREE. Valid on ski or snowboard lessons for selected time slots and both people must be the same ability level. All package prices based on pay five stay seven free night deal using an exchange rate of 1 AUD = 74 JPY and are subject to change. Minimum numbers in apartments required. As part of the 25th anniversary celebration of Constellation Hotels, this is your final opportunity to take advantage of a bonus 25 Escape Dollars, that can be used just like cash during your stay or save 25% off Summer accommodation deals for booking made before midnight Thurday 18th November. Explore Australis Diamond Beach Resort & Spa on the mid-north coast of NSW, just an easy 3 hour drive from Sydney. Lose yourself amongst un-spoilt pristine beaches and national parks or at the resorts very own endota spa. The resort neighbors the exclusive Tallwoods golf course for the more active making sure everyone is catered for. Stay in a Two Bedroom Resort Spa Villa and save 25%. Chase the sun to the Gold Coast and receive 25 Escape Dollars to spend just like cash during your stay Australis Sovereign Hotel is your ideal Gold Coast base for an action packed theme park holiday, and just minutes away from the sandy strip. The lagoon style swimming pool is perfect for some welcome down time after the thrills and spills of the day. Choose from a family mini-break with accommodation in a Two Bedroom Suite or indulge in a Spa Suite perfect for two. Celebrate with an escape to the picturesque South Coast of NSW and stay in the newest and sexiest hotel in Wollongong. Enjoy 25 Escape Dollars to spend at Chifley Wollongong on their stylish Deluxe or Executive Balcony Room overlooking Wollongong's delightful views, which will surely spice things up. You could also use your Escape Dollars on room service, in the funky C Bar or be seduced by the inviting and sophisticated atmosphere of the hotels C Grill restaurant. Sale Start: Thursday, 10th November 2011, Sale End: Midnight Thursday, 17th November 2011, Stay dates from 1 December 2011 to 29th February 2012. 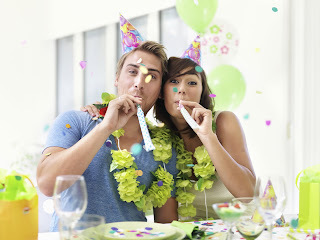 To browse all the 25th Birthday Sale Deals available visit www.constellationhotels.com.au/birthdaysale or call 1300 650 464. Get in quick so you don't miss out! 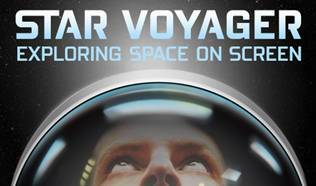 Guests of any Constellation Hotel will also receive complimentary membership into The Escape Club program, a reward program that not only offers real dollar rewards but a free drink too! So what are you waiting for? Join for free at www.escapeclub.com.au or call 1300 650 464. At this time of year, parents all over Australia start to panic. In a few short weeks, their precious children will be in their full time care and the pressure of keeping them happy for up to two months can be daunting. It's not just about keeping them busy: Choosing holiday experiences that won't break the bank can be a real challenge. Luckily, the Kids Welcome web directory has been launched just in time to come to the rescue. This free resource includes over 2000 reviews of family-friendly activities, attractions, tours, places to eat places to stay, events, beaches and even playgrounds. The reviews are written by parents, for parents and each is rated as suitable for three different age-groups: preschool, primary and teen. Web directory creator Sarah Pye says this invaluable resource will take the hard work out of entertaining the kids. "If you are planning to explore new parts of Australia together it helps you pick appropriate places to go, many of which are free and you wouldn't find them in tourism brochures," she says. "Even if you don't leave home, the Kids Welcome directory is just as useful for banishing 'I'm bored' because there are guaranteed to be ideas for your local area too. 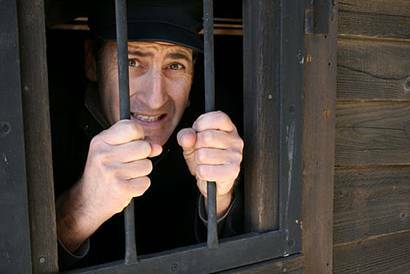 "Grandparents, aunts and uncles need not fear if the kids are coming to visit over Christmas!" What makes this online resource different from Kids Welcome printed guidebooks is the ability for users to engage directly. 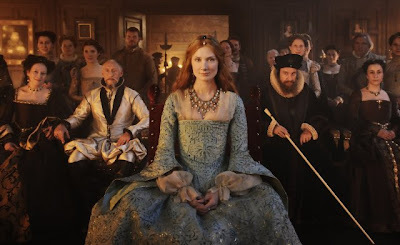 By joining the site, which is free, they can make comments on the reviews and even upload images of their own family enjoying the activities. "Not only is it fun to see yourself on the website," Sarah says. "It's also good to know your comments will help other families create memorable holidays!" The kids Welcome web directory was launched on November 11 at UnderWater World on the Sunshine Coast. It was critically acclaimed by Sunshine Coast Destination Limited and currently covers Queensland, NSW and the ACT. Sarah and her chief expert, Amber (11) intend to hitch their camper trailer and explore Victoria over the summer to add even more content. To celebrate the launch, you could win a week in your very own camper trailer from Camp Ezy on the Gold Coast. 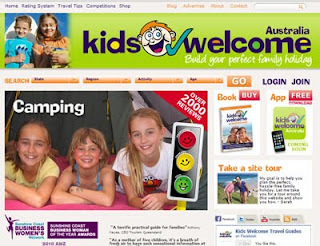 Simply go to competitions on www.kidswelcome.com.au. In Cambodia's Koh Rong Archipelago, two pristine islands lie side by side. They are known locally as Song Saa – Khmer for 'The Sweethearts'. 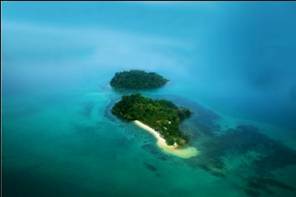 Song Saa Private Island will be as seductive as the name implies; an intimate private island retreat in an undiscovered paradise. Most of Cambodia's islands - scattered across the sapphire waters of the Gulf of Thailand – remain undeveloped but offer deserted oases of virgin rainforests, tropical reefs and glistening white beaches. Guests to Song Saa will be amongst the first foreigners to experience this untouched world, reminiscent of Thailand's islands before its tourist boom. The resort spans the islands of Koh Ouen and Koh Bong, connected by a footbridge over a marine reserve that has been established to safeguard the islands' reefs and marine life including dugongs, seahorses and exotic species of tropical fish. 27 luxury villas are being built from sustainable materials and in perfect harmony with the natural environment; uncompromising on design that reflects the beauty of the natural surroundings. Adopting a 'rustic chic' design, the resort is inspired by Cambodian fishing villages with features such as over-water buildings, thatch roofs, rough-hewn natural timbers and drift wood furnishings. Guests will enjoy uninterrupted sunrise or sunset views from their Overwater, Beach or Jungle Villas, complete with private pools and all the creature comforts Robinson Crusoe could only fantasise about. Each villa promises a sanctuary where guests can shower looking out over the ocean, sip cocktails whilst watching the sun set from their private deck or have the resort's chef treat you and your guests to fresh seafood under the stars. A 2-Bedroom Royal Villa has its own private jetty for speedboat arrival and offers exceptional luxury and privacy, for those in search of an exceptional discrete island hideaway. At the resort's heart will be a world-class restaurant and lounge spectacularly positioned over the ocean to take in dramatic sunsets, seascapes and starry nights. Executive Chef Neil Wager, worked previously at the highly acclaimed six-star North Island in the Seychelles where he cooked for a host of international royalty and celebrities. Neil said, "in Cambodia our team has found a culinary adventure most chefs can only dream about". With a commitment to paying homage to traditional Khmer food practices in a contemporary and sustainable way, the kitchen will source locally grown food, with seafood selected from Cambodia's growing community of sustainable fishermen. A Spa & Wellness Centre will be situated on its own island with a Yoga & Meditation Centre on the eastern shore and a host of guest activities will be offered to authentically showcase the surrounding Archipelago, its staggering scenery and innately friendly people. Kayaking up fresh water estuaries, hiking through virgin rainforest, snorkelling with the resort's marine biologists, Khmer cooking lessons and visits to local fishing villages will all be part of the Song Saa experience. For Australian couple, Rory and Melita Hunter, becoming the first to develop a private island in Cambodia, according to Rory, "brings exciting opportunity but also an incredible responsibility to set a benchmark in sustainable development, to pave the way for future development in this untouched region of South East Asia". Central to their vision is their commitment to conservation and community programs with a triple bottom line model which ensures the protection of the natural environment and simultaneously supports the needs of the local people. Song Saa is now open for bookings for stays from 13 February 2012 via phone on +855 236 860 360 or email reservations@songsaa.com. For further information visit www.songsaa.com. 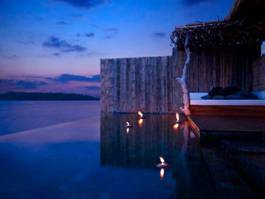 Choose from twenty-seven luxury overwater, beach or jungle villas (all villas have private plunge pools) on the first of the two islands. From the moment guests set foot on Song Saa's exquisite islands, they won't have a care in the world. With an 'Always Inclusive' pricing policy; one price, per person, per night, guests are free to indulge in everything the resort and its surrounds have to offer. All the features laid out below are 'Always Included' at Song Saa. Everything from arrival foot massage and welcome drink, to all that passes guest's lips from sunrise to sunset, be it a lazy breakfast in the villa, a romantic picnic lunch on the beach, or fine dining in the world-class, overwater restaurant. Everything is included. Featuring a range of cuisines including the exciting Khmer- inspired recipes by Executive Chef Neil Wagner, guests receive daily surprises from the kitchen such as freshly made afternoon tapas and a glass of crisp white wine as the sun sets. Guests can enjoy 24 hours unlimited house wines, spirits, beers and non-alcoholic drinks, including villa mini bars which are restocked daily plus unlimited laundry. Also included is the full use of kayaks, sailing boats, snorkelling gear, kite boards and wind surfers, plus speed boat to and from the resort. High speed internet and satellite TV along with International phone calls are included as are guided tours of the protected marine and wildlife around the twin Islands. Rates range from US$668 - US$1,288 per person per night. Children under five years stay with compliments. Children aged six to twelve stay at a 50% rate. The main Cambodian airports of Siem Reap and Phnom Penh have direct daily flights from Asia's airport hubs such as Bangkok, Singapore, Hong Kong and Kuala Lumpur. Song Saa Private Island operates Private Plane transfers from Siem Reap (75 minutes) for US$300 per person one way and from Phnom Penh (45 minutes) for US$200 per person one way. Planes land on the neighbouring island of Koh Rong and cost includes 5 minute boat ride to Song Saa. Alternately Sihanoukville is a 3 hour drive from Phnom Penh and private car transfers can be arranged for US$150 each way. Song Saa is a 30-minute private speedboat ride from the coastal city of Sihanoukville for US$90 per person per trip. Did you know that Sydney is home to six unique Harbours? If you’re familiar with the delights of Sydney Harbour itself why not explore a little further afield this summer and discover what’s on offer in the city’s lesser known waterways such as Pittwater, Port Hacking and Botany Bay. •The Sydney Harbour Circle Walk is the ideal outdoor summer pursuit. Take on the challenge of the 59km track which runs between Sydney Harbour Bridge and Gladesville Bridge, and experience Sydney’s coastal lifestyle at its best. Spread the walk over four days or simply choose sections at leisure catching public transport in between. Soak up the sun and cool off with a dip in sparkling waters along the way. •Charter a yacht from AusSail and explore the secluded waterways of Pittwater. Try a bareboat charter for you and seven mates, leaving you in charge of sailing the yacht. Explore pristine bays, excellent fishing spots and even meander up the Hawkesbury River and moor overnight in a secluded cove. •If you prefer to stay on dry land, Clareville Boathouse is a great option located on the idyllic and protected beachfront of Refuge Cove. Part of the Contemporary Hotels group, the Boathouse has its own jetty and scenic views across Pittwater. •Heading south from Sydney, try a new Freedive Safari with Scooter Safari. Freedivers go wherever scuba divers can but on a single breath of air. Learn the techniques of freediving and dive deeper than you’ve ever been on a single breath allowing you to swim, explore the reef and admire the sea life around Bundeena and Port Hacking. •The nearby Royal National Park boasts an incredible wealth of bird life including seabirds such as the wandering albatross. Take a guided bird watching tour with acclaimed author Steve Anyon-Smith and Royal Coast Walks and try spotting some of the more than 300 bird species that have been recorded within the park boundaries – which puts the Royal National Park on par with larger parks such as Yellowstone and Kakadu. •Audley Boatshed is a great place to hire a row boat or kayak and explore Kangaroo Creek and the Hacking River in the Royal National Park. Afterwards stop in at the new Audley Café, which opens later this month, at the visitor information centre. •Take a dip in one of the ocean pools in Port Hacking at Yowie Bay, Gymea Bay or Lilli Pilli. The Lilli Pilli tidal pool is an excellent spot for an early morning dip and make sure you take your goggles as you’ll be swimming with whiting, yellow fin bream and flathead. •Tucked inside Cape Banks, the northern headland at the entrance to Botany Bay, Cruwee Cove is a walk-in beach with superb snorkelling right off the beach and towards Cape Banks itself. This inlet is managed by Sydney University Centre for Research on the Ecological Impacts of Coastal Cities. The marine species found here include colourful sponges and kelp gardens, groper, moray eel, cuttlefish, red morwong, wobbegong and maori wrasse. Access is by foot only via the Henry Head walking trail that begins off Anzac Parade. Located in the secluded upper levels of the recently opened Gibraltar Hotel and overlooking the golf course, the Bowral Day Spa offers a range of decadent treatments for women, men and couples. Featuring five oversized, luxury treatment rooms, including one with a Vichy Shower and using the Australian LI’TYA spa care range, you are sure to feel relaxed and rejuvenated - especially after a signature Mala Mayi Body Treatment. Regarded as one of the world's best value-for-money destinations, Malaysia is the perfect holiday option for Australians looking for a bargain break. There are currently a number of great packages available, offering opportunities for Australian travellers to soak up Malaysia's pristine white beaches, unique culture and heritage, and bustling city atmosphere without breaking the budget. In Malaysia's vibrant capital Kuala Lumpur you can stay in luxurious accommodation, shop and spa to your heart's content, tantalise your tastebuds with delicious Malaysian cuisine and discover the sites of the bustling city. 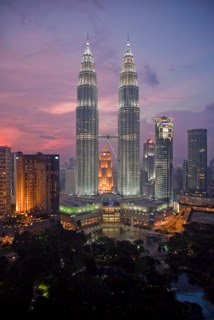 Flight Centre is currently offering a five night holiday to Kuala Lumpur, starting from $1,323* per person ex Perth; from $1397*per person ex Melbourne; from $1406* per person ex. Adelaide; from $1417* per person ex. Sydney; and from $1419*per person ex. Brisbane. This package includes return economy flights to Kuala Lumpur with Malaysia Airlines, five nights' accommodation at Corus Hotel Kuala Lumpur in a Deluxe Room with a bonus upgrade to a Paradise Cabana, breakfast daily and return coach airport transfers. There's also a daily shuttle service to Bukit Bintang and Chinatown and a bonus 20 minute neck and shoulder massage to help relieve the stresses of a hard day of shopping. The package is valid for travel from 02 February 2012 - 31 March 2012 and valid for sale until 30 November 2011, unless sold out prior. For families looking to head to Kuala Lumpur, Travelscene American Express is also offering a fantastic family accommodation package at Sunway Resort Hotel and Spa. Prices start from $1217* for two adults and two children (12 years and under) and includes two night's accommodation in a Premier Room, daily buffet breakfast, as well as additional bonuses. This offer is valid for sale to 31 March 2012, and valid for travel from 17 October 2011 - 30 November 2011; 02 - 19 January 2012, and 25 January 2012 – 31 March 2012. Package does not include flights. Beyond the bustling city of KL there are also plenty of opportunities to relax and soak up the sun on Malaysia's stunning sandy beaches, without breaking the budget. Langkawi is the perfect island escape for all Aussie travellers - be it couples looking for a romantic getaway, friends looking for a dose of well-earned rest and relaxation, or families on the look-out for a child-friendly destination. Flight Centre is offering a five night holiday to Langkawi, from $1323* per person ex Perth; from $1397*per person ex Melbourne; from $1406* per person ex. Adelaide; from $1417* per person ex. Sydney, and from $1419* per person ex Brisbane. This package includes five nights at the Mutiara Burau Bay Resort Langkawi in a Superior Cabana Garden View, return economy class airfares with Malaysia Airways, and daily breakfast. The package is valid for travel from 02 February 2012 - 31 March 2012 and valid for sale until 30 November 2011 unless sold out prior. *Terms and conditions apply to all packages. Prices are per person twin share inclusive of pre-payable taxes and subject to change and availability at time of booking. Black-out dates apply. Please note: For the Flight Centre Langkawi package, departures from Brisbane include one night accommodation at the 5-star Pan Pacific KLIA in a Deluxe Room due to flight schedules.